How do I add Amazon as a payment method in QuickBooks Online? Payment methods are how customers pay you. While this field is not mandatory, setting a payment method will allow you to run reports on payment methods. So if you have sales outside of Amazon, you can create different Payment methods, like PayPal, Cryptocurrency, or eBay. That way, you can run reports for each Payment Method. 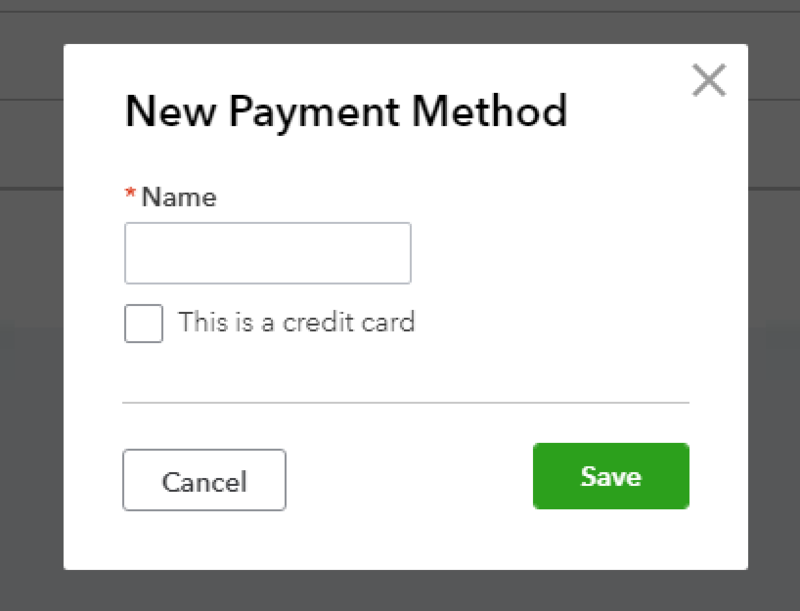 You can add any payment method through QuickBooks Online's Gear icon on the top right corner of the homepage. Navigate to Gear icon > All Lists > Payment Methods. Click on the "New" button and type "Amazon" without the quotes to add Amazon as a new payment method.